I've heard many stories about Jokes and Notes from many comics before actually ever going there. Anything ranging from how it was a difficult room, to how you aren't guaranteed a spot at the Open Mic, and that even the most seasoned comic could bomb and be booed off stage. Admittedly I was nervous to go after hearing all of these things. One Wednesday at the probing of my neighbor, and an early night off work I decided to see what Jokes and Notes was all about. We arrived early and slowly a large crowd gathered outside. 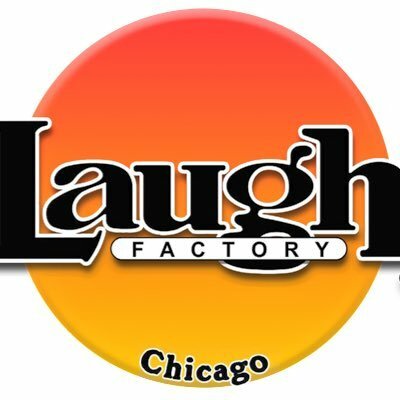 Eventually the owner of the club, Mary Lindsey came out and asked everyone to get in line and she asked us all to write our names down and how long we had been doing comedy. One man in his late 30's proudly answered "3 weeks" to which Mary politely informed him "You will not be going up tonight" She gave us a run down that this club was different, and if you thought jokes you told at the dinner table or your potty humor was funny, it was not going to fly here. She gave us simple rules 1) Don't mess with the crowd and 2) Don’t bad mouth the club. 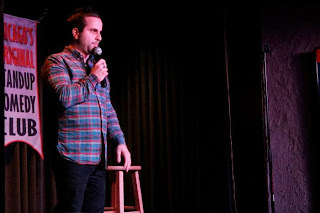 I felt as if I should be intimidated but found myself relieved that there was a format and an expectation from the comics and that the bar was set high to not just go up and mess around on stage, but to actually have a crafted set that you could try in front of a paying audience on a Wednesday night. Eventually we moved inside and my neighbor went up first and I was informed after the next comic that I was on deck. My nerves were high, the room packed to capacity, and the middle aged comic who said he was a veteran goes up leaving me on deck. He grabs the mic and immediately trash talks the name of the club. “Jokes and Notes? What the F*** kind of name is Jokes and Notes? !” He is given the light, the music comes on and the MC tells him he is done. Confused, he is told politely he was given a simple rule and he broke it five seconds into his set. The man exited far from gracefully. He shouted as he walked off stage and kicked a chair over as he walked back to his seat and made a racial slur in my direction and then was immediately asked to leave the club. So now what I thought was another 3 minutes to prep my set I am now next. My nerves are now higher than before. I am brought up to Keezo Kane “Ga Ga Ga” the room buzzing from what just happened, and a clear tension in the air. And I know I need to win them right away or I am done. My first joke is scattered over noise and misses, and a slight panic begins to set in. Then my next joke goes over well and I can tell they are on my side. I begin to relax and realize this crowd is just like any other crowd, except they want you to be having fun and not reading off a script. They're listening now intently as I go into proven material with some new stuff sprinkled in. I get the light and decide to roll the dice and try a “Race joke” to close it out. I say “I don’t normally do race jokes on stage. I don’t even talk about my 5k times” Scattered laughs and a few people wondering where I am going next. I go on about people who whisper when they’re being racist as if that somehow justifies them being a racist. I recall how my neighbor whispered to me the other day that there were some *Whispered* "Black people" trying to get in the back door of our building. And she wasn’t sure if she should be letting *whispered* “Black people” inside the building. Because last week we had an “Asian, and she wasn’t sure if he was delivering food” The room goes quiet. I get to the punch line that when people are this blatantly racist that I like to whisper things back to them equally as horrible just to freak them out. Like when I saw my neighbor next she asked if I was dating anyone. I responded “Yes, it’s going really well, she came over for drinks the other night and I had too much to drink and ended up *whispered* “Slapping her around a little bit” and then she pulled out a knife so I accidentally *whispered* “Stabbed her in the stomach with it” and now I don’t know what I’m gonna *whispered* “Do with the body” and the worst part about it is *whispered “She’s BLACK” The room erupts. 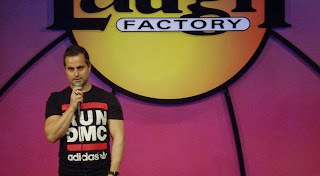 I have never in my comedy career been able to since then replicate the feeling of having a great set at Jokes and Notes. The energy that is given off is hard to duplicate. As I walk back to my seat I am met with high fives, one man gave me a bro hug and then I was pulled aside by Mary. She is full of encouraging words and says she wants to see more of me. She asks me to showcase on the Thursday Stage Time show. I end up showcasing once more after that and she offers me a weekend of work at Jokes and Notes. I go on to have a few weekends featuring for national headliners and comics who have been on BET, Comic View, etc. The once “intimidating” club has now become my home. And I will Featuring there again in the New Year. So all of the stories and rumors couldn’t be farther from the truth. Yes, there is a chance you may not go up at the Open Mic but if you come back the next week you will more than likely be put up, and if you are from out of town you are almost guaranteed to go up. And unless you are really bad you will never get booed off stage. 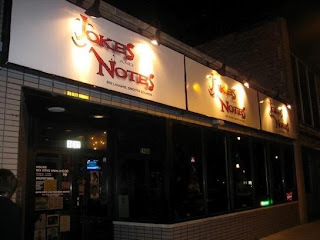 What I discovered in my time at Jokes and Notes is that it is a very welcoming place. Funny is funny. If you can do that you will do well there; and you, like me, will be hooked. There are no racial divides. If it’s a funny joke it will get a laugh no matter what the topic as was evident in my set. 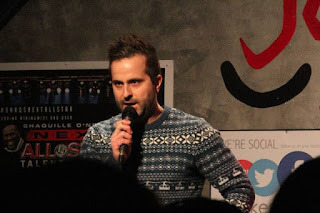 It is a crowd that comes from all over to do what you are supposed to do at a comedy club: Laugh, and have a good time. They are a smart crowd who came to laugh, and can sense when you are behind your material and when you are not. I've always felt that when I am down or need a pick me up, anytime I go to Jokes and Notes I feel better and rejuvenated. And the jokes you may not always get credit for are appreciated and always get an honest response. 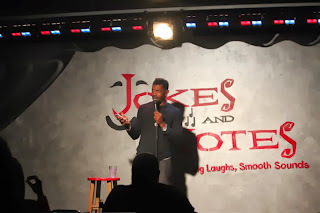 And I learned that you don't go to Jokes and Notes if you're not serious about comedy or if you are just bored and want to try that new D*** joke that killed on Twitter. You go when you are good. Or you at least when you feel you are good. Some of the hardest working comics in the city still come through to either support, or perform. 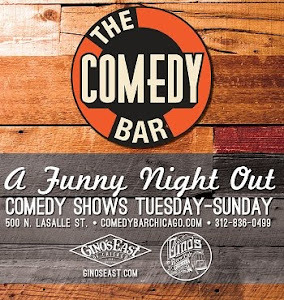 Many who started out at Jokes and Notes and who have recently had national credits on Comedy Central, BET, and Late night Television so it just goes to show the caliber of comedians who are there week after week honing their craft. And the woman behind it all, Mary Lindsey, who I had no idea what to expect from, turns out to be a loyal, straight shooter who knows good comedy, and knows the business inside and out. And she has your back. It is refreshing to work at a club where you always know where you stand and everyone is welcomed and everyone has a fair opportunity to succeed. 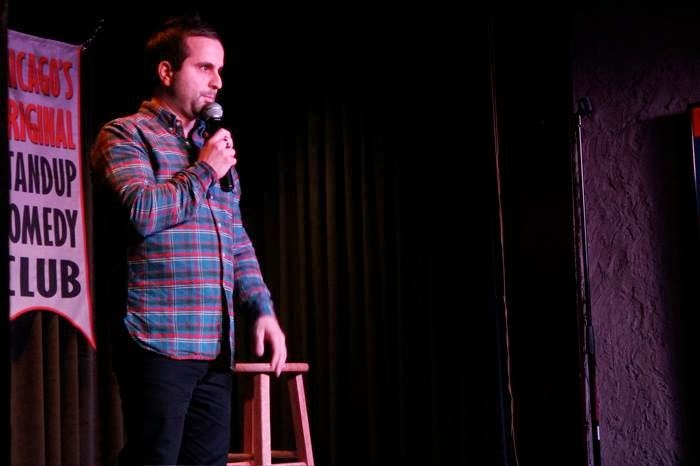 Anthony is a Chicago stand-up comedian, actor, writer, and producer. He's performed at clubs like The Laugh Factory, Zanies, Jokes and Notes and countless other independent showcases.